So you have a website, blog, Twitter and multiple social media accounts. You are well on your way to creating a much larger presence on the Internet. As you know, nothing is just found on the Internet. It takes marketing and knowing exactly how to draw attention to you online for profits to happen. People find websites by going to search engines or by clicking links through relevant and trusted websites. If you are not dominating search engines with your listings yet, you can do it in just a couple of simple steps. You don’t need to hire an SEO company to get results in real estate. Learning how to place your real estate backlinks everywhere will help you show up everywhere. You won’t have to settle for a measly Craigslist posting anymore. There are free and premium services that you can use to build your real estate brand online. There are many factors that search engines use to determine how high to rank your website. Backlinks are just one of the ways that are discussed here. You can do a lot with free backlinks or you can pay a company to generate them for you. If you want to go the DIY route, it is easy to get started. Note that the free route is not as good as paying a professional to build your links manually. Getting more people to find your website is what you are trying to accomplish by building links consistently. This is by far the best DIY backlink creator online. You literally just choose where you want to drop your link and then go and do it. It does take some time to complete though. It is best to use this free service if you have a little time on your hands in between completing sales. You could always hire an intern or other person to drop your link on high page rank blogs, government websites and real estate related websites. This website can get you 1000 backlinks with just the click of your mouse. The mixture of high PR and low PR websites will create a range of backlinks quickly. The only drawback to using the free service is that there is a slight delay before you can build any links. If you can wait about 10 minutes to submit, you will have an easy 1000 backlinks for your website or blog waiting for you. A backlink and bulk ping tool are built into on with Bulk Ping. The backlinks that are created will give you over 3000 quick backlinks. This free solution is different than most because it creates backlinks and immediately sends a ping request. This will update all of the search engines about your newly created backlinks. When building backlinks, it is helpful to do it slowly and make sure your website or blog is filled with fresh content. Search engines index a lot faster when a website is providing useful information. Go out and build some backlinks and monitor the results that your listings get. 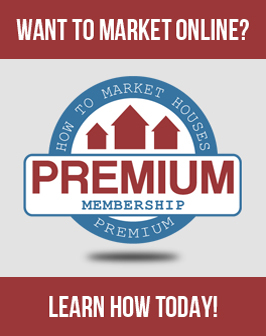 If you want more awesome tips, be sure to have a look at our premium section to help make you a real estate master marketer online.